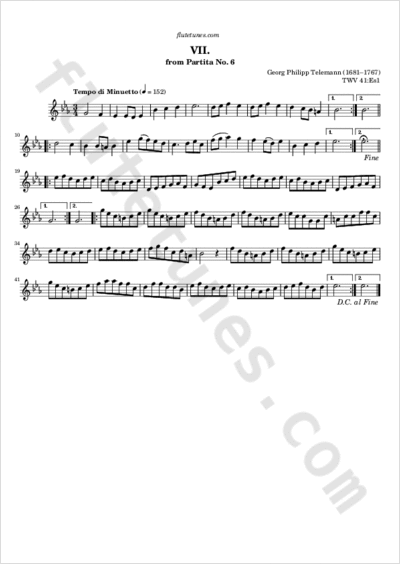 This minuet-like piece is the closing movement of Georg Philipp Telemann's Partita No. 6 in E-flat major, TWV 41:Es1, originally published in 1716 as part of the Kleine Kammermusik (“little chamber music”) collection. The original edition indicates that the melody is intended to be played by an oboe, a violin, or a flute.